If you are looking for a reliable e-mail management solution for your business with all the latest bells and whistles for a reasonable price, and you want it now, then hosted Exchange 2010 or 2007 from Contron IT is right for you. Businesses and individuals choose Contron IT Microsoft Exchange hosting service for the reasons of cost, convenience, reliability, productivity enhancing features, and excellent 24/7 support by phone and email. No Setup Fee , 30 Day Mail back up system. Domain Choices: Bring your own domain, use Contron IT sub-domain, or purchase new domain from Contron IT for your Microsoft Exchange hosting online accounts. Reliable Infrastructure: Contron IT used clustered servers infrastructure in multiple reliable data centres to provide shared MS Exchange hosting customers with 99.99% Uptime, Daily backups ensure that your data is never lost. Support for Mail Protocols: Protocols such as POP, IMAP, SMTP, RPC over HTTPS are supported. Outlook Web Access (OWA) or hosted Outlook Web App for Webmail: Microsoft OWA included free with hosted exchange accounts allows users on the road to access their e-mail through a standard web browser with features similar to Microsoft Outlook 2007. Wireless Synchronization: Free ActiveSync synchronization of e-mails is included with every MS Exchange hosted account, to a variety of mobile devices including: iPhone, Pocket PC, Palm Treo, and Windows Mobile phones. 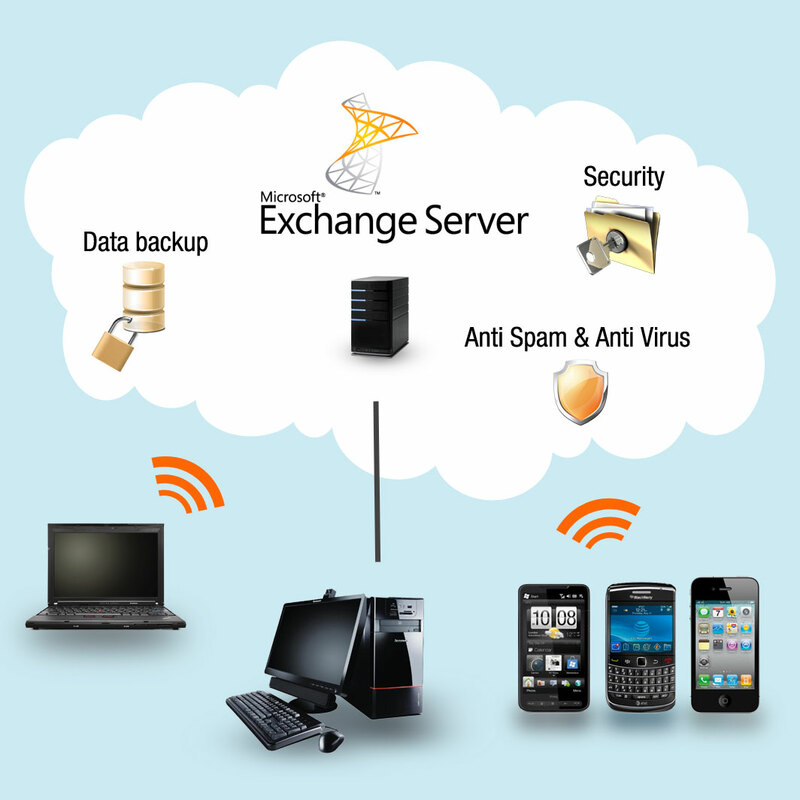 BlackBerry-Exchange hosting through BlackBerry Enterprise Server (BES) is available as an option. Free Anti-Spam Software: Contron IT Anti-Spam software continuously protects against spam as well as offers users to set filters, rules, and manage safe sender lists, safe recipient lists, and blocked senders lists. Email Archiving: Hosted Exchange 2010 includes integrated email archiving, retention, and discovery capabilities. Free Anti-Virus: All incoming and outgoing e-mail messages and attachments in MS Exchange accounts are scrubbed by anti-virus software before they are forwarded to their destinations. Remote Wipe Capability: Remote wipe can be used to erase sensitive data from a lost mobile device , large Attachments: Microsoft Exchange hosting permits attachments up to 50 MB size in e-mails. Personal and Shared Information: Hosted Exchange online users under one company account can maintain personal and shared calendars, task managers, public folders, companywide Global Address lists (GALs), and can arrange group scheduling with real-time availability.